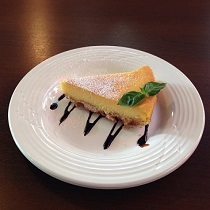 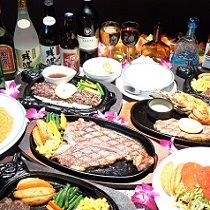 The best steak dining experience is offered in the atmosphere of a real Ameriacan style diner.Merely five minutes from Churaumi Aquarium is authentic, quintessential yet modern steakhouse, Steak House 88. 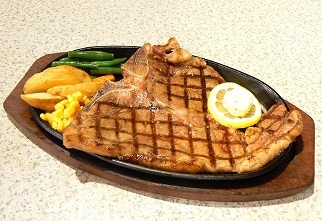 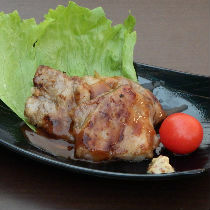 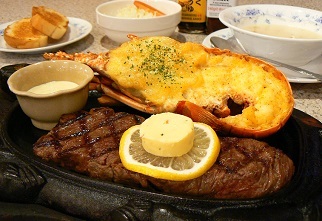 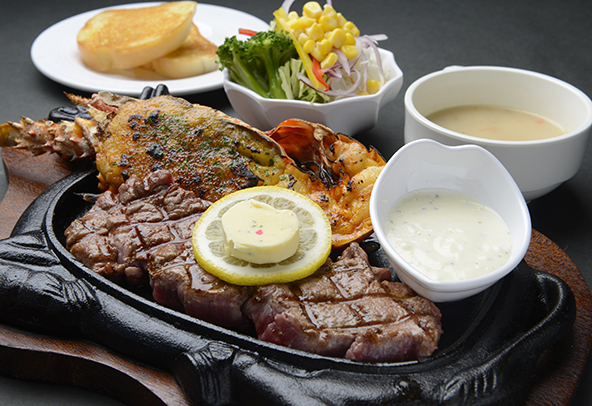 Addition to 20 kinds of steaks including Prime fillet steak, T-bone steak and tenderloin steak, other toothsome plates such as juicy Agu pork hamburger steak and awesome combination of lobster and steak can be enjoyed. 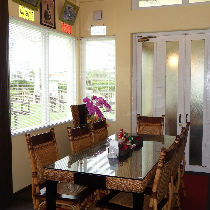 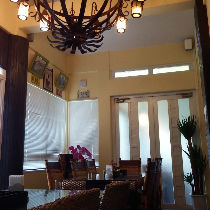 Outdoor seating where you can take in nice breeze and sophisticated private room for a party of 8 or more are offered. 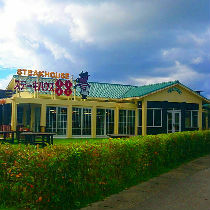 open daily ＊Operation hours are subject to change around the new year.